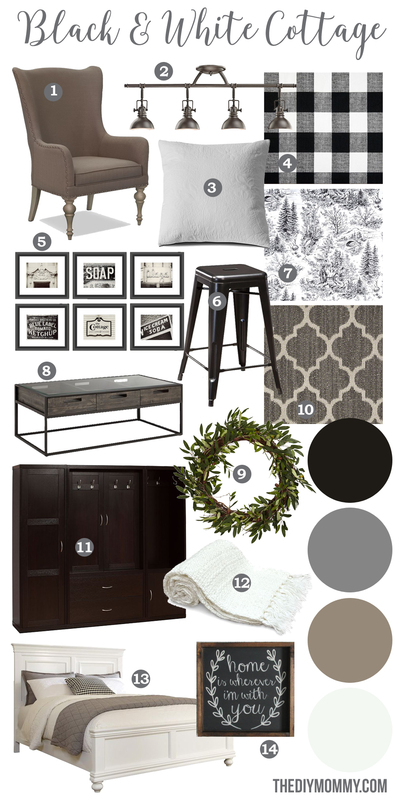 Mood Board: A Black & White Guest Cottage – Our Newest Small Space, Budget Renovation Project! 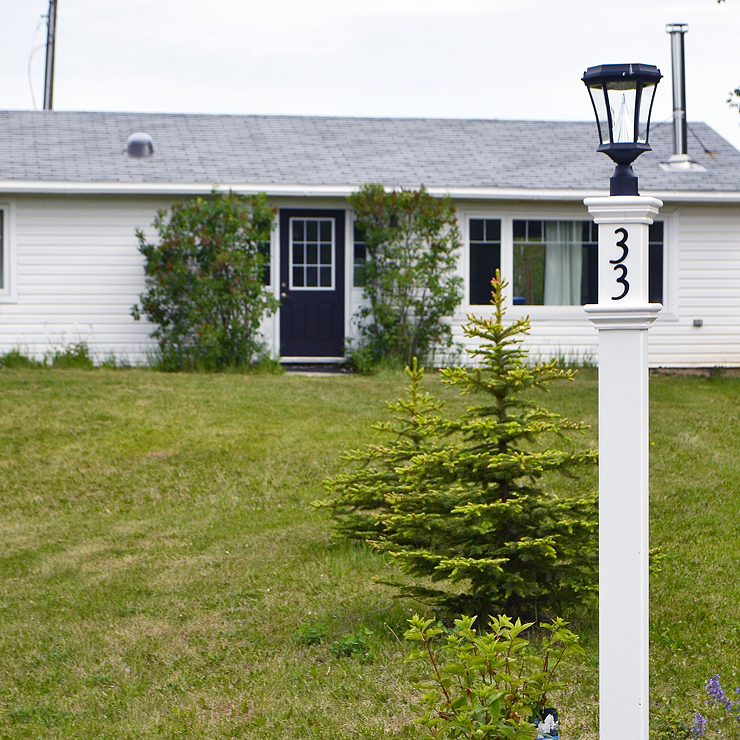 When we first bought our acreage 10 years ago, we lived in a small cottage that was converted from a four-bay garage package. 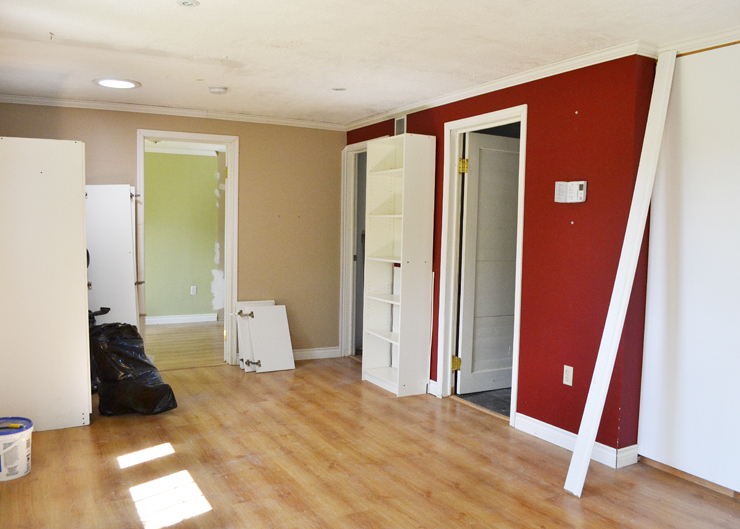 It was 880 square feet, and it was small, cozy and perfect for the two of us. When we had our first baby, the “garage house” was still perfect for us. After we had our second baby, we were ready to think about building a larger home. 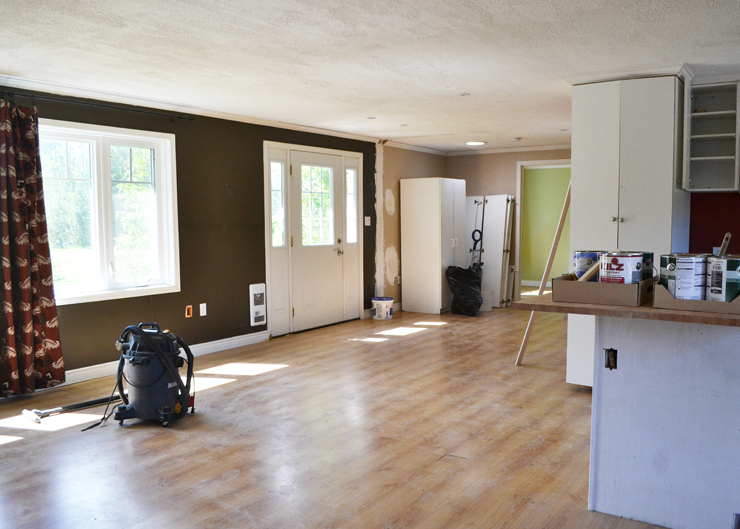 That’s how Our DIY House came to be, and you can read more about that right here. Meanwhile, we’ve been pondering what to do with our old garage house that’s still on our acreage. It’s been vacant for almost three years now, and so far we’ve used it for storage. 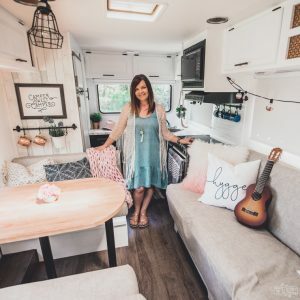 When the news came that we would have guests at our home this summer, we realized that we had the perfect job for our old garage house – it’s to be a sweet little guest cottage! I’m really excited about this rather large project. My parents will be the first guests, so I want to make sure they’re comfortable in our little garden suite this summer. 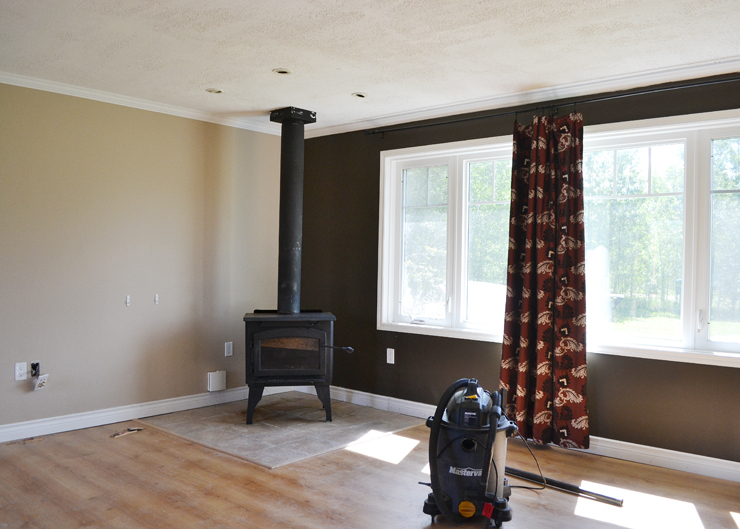 Let me show you the plans we have for our guest cottage, and as I write about this project, I hope to give you a ton of ideas about how to renovate & decorate a small space on a budget. Here’s what our old garage house looks like now. It’s been vacant for a few years, so it’s quite dirty. The paint colours are outdated (I was really loving deep, warm colours back in 2006), and the workmanship is really horrible. 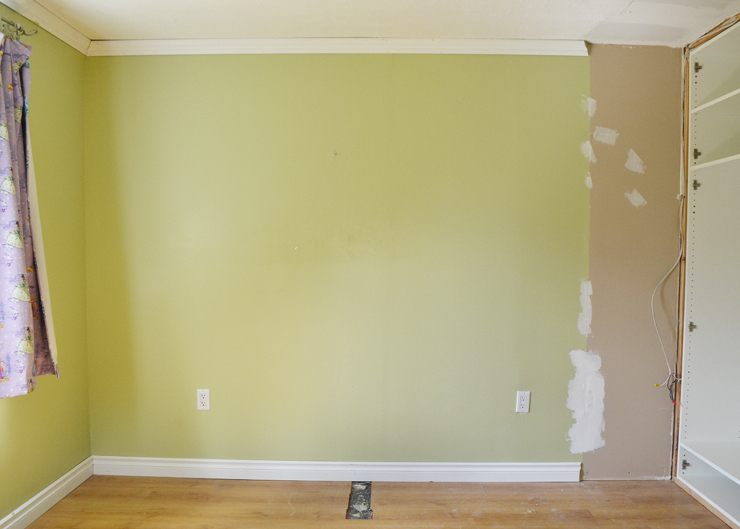 To be fair, we renovated this little place from its REALLY gross state in about a week when we first moved in. You can see those photos here. Plus, I had two babies in this home, so I was busy with them and I didn’t have the time or the desire to work on finishing our home properly. Think we can do that in a month? I’m hoping so, because our first guests are arriving soon! I’m pretty thankful that I have three little girls that love to help me paint and decorate! 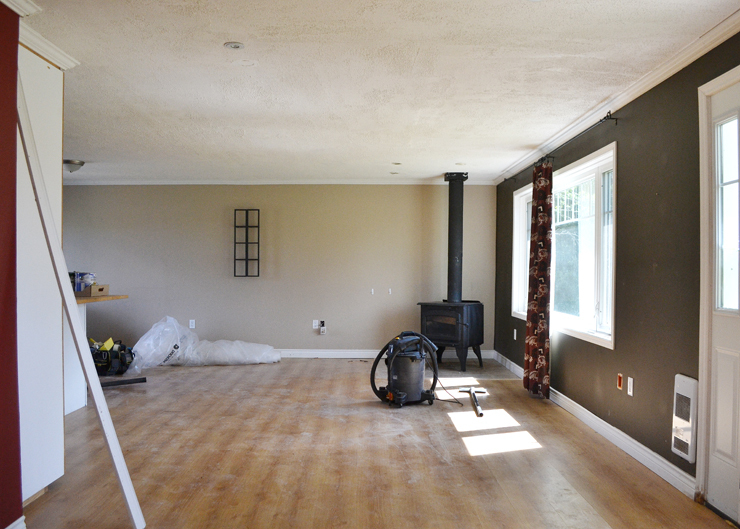 We don’t have a very large budget for this, so it will be fun to get creative with this renovation. Here’s the inspiration for the guest cottage decor. I want the cottage to feel cozy, and suit its its beautiful country surroundings. My goal is to create a neutral, serene space so that my guests can add their own pops of colour if they wish. With the help of The Brick, we’ll furnish the guest cottage with some gorgeous cottage-inspired furniture and a few antique and vintage pieces too. We’re going to paint all of the walls, trim and cupboards in Benjamin Moore’s Simply White, and we’ll use warm black and grey as accent colours in the furniture. I really love this simple, cottage-inspired look and I can’t wait to see it all come together. First off? Lots and lots of painting! I’ll share our progress with you next week. 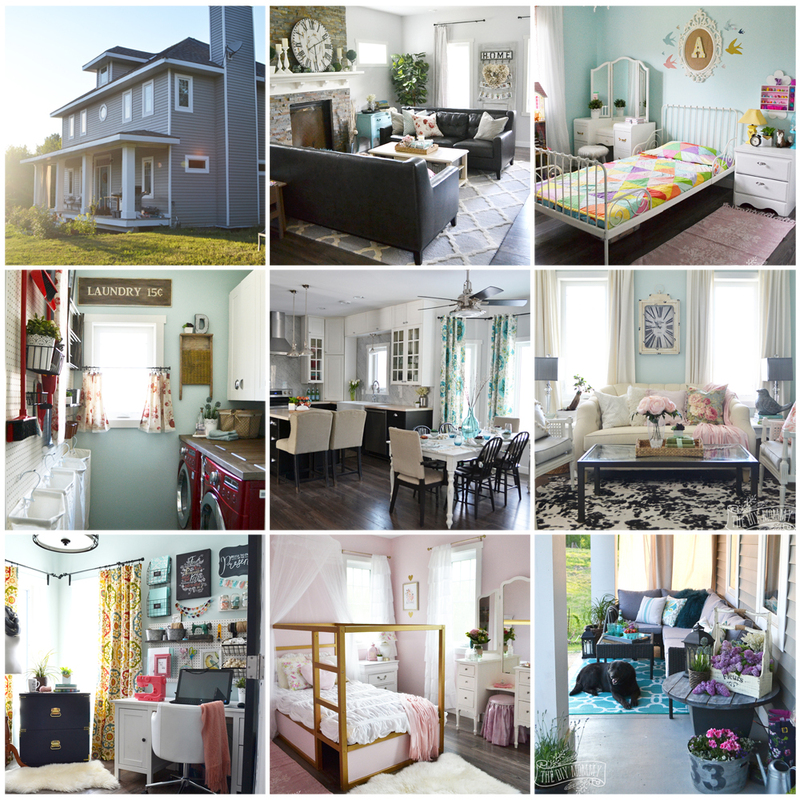 If you want to see some home interior photos that have inspired this look, you can visit my Guest Cottage Pinterest board here. What do YOU think of this monochromatic cottage look? Disclaimer: This post is sponsored by The Brick. As always, all of the opinions here are my own. I only recommend companies that I use and love myself. This is fantastic! I will love watching what you do to this space. I can’t believe this was a garage. Amazing. Thanks, Amie! 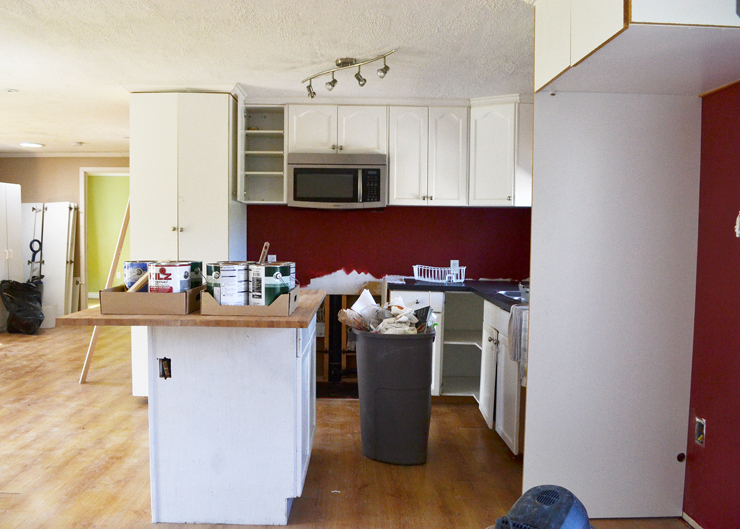 Yes, it was already renovated a little when we moved in but it was done so badly and it was just so icky! I’m excited to make it look fresh and pretty! Love it! I’m so excited to see it finished, and I’m sure you can do it in a month. Let me know if I can help by babysitting your girls while you paint or sew or whatever! Thanks so much, Sara! Thankfully I’m already done 90% of the painting – it was a ton of work, but I got it done at night when the kids were on bed! Oh my gosh! 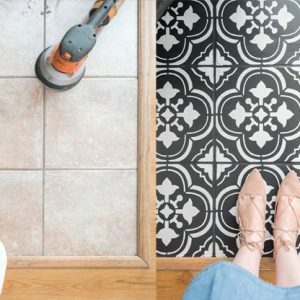 What a fun little (well, not so little) project to take on! LOVE the design plans and can’t wait to follow along! Thanks for your comment, Ann! 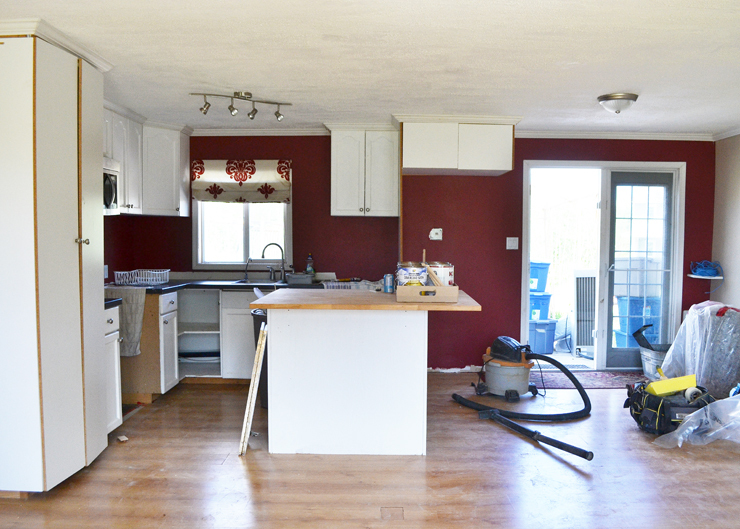 The only expenses for the actual renovation portion of our project are latex paint, spray paint, a couple of plumbing fixtures and a light fixture, so I think that’s pretty good! We are doing all the work ourselves. As for the furnishing and decorating, we will be using some new items, but – yes – there will also be a lot of used furniture and sewing happening too. I hope you’ll come back to see the finished look and let me know what you think! 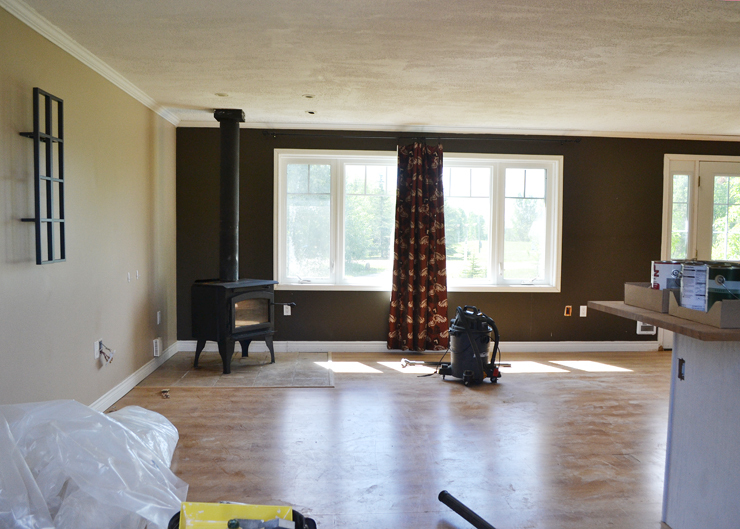 How exciting that your guests will have their own complete space! Can’t wait to see the progress. Good luck! I know it’s going to be beautiful. Get my latest DIYs sent directly to your inbox!